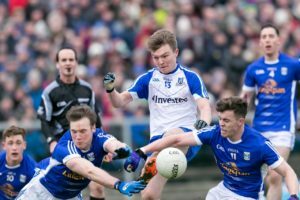 Monaghan will be chasing a return to winning ways in the Allianz NFL Division One in Saturday’s derby against Cavan in Clones. Monaghan kicked off with a good win over Dublin, only to lose out narrowly to both Roscommon and Galway, before slipping to a third straight defeat against Tyrone. An improved performance away to Kerry last time out couldn’t bring a return to winning ways. Following last year’s promotion, Cavan lost their opening three games on their return to the top flight against Galway, Kerry and Mayo. They got off the mark at the expense of Roscommon, only to lose to Tyrone in round five. Monaghan will need big performances from the likes of Conor McManus, Colin Walshe, Drew and Ryan Wylie, O’Connell and Darren Hughes, while Dara McVeety, Killian Clarke, Martin Reilly, Conor Madden, Conor Moynagh and Ciarán Brady are among the main men for Cavan. Saturday also sees Monaghan’s senior ladies bid to get off the mark when they travel to Dublin. Monaghan have fallen short against Westmeath, Galway, Donegal and Cork so far, while Cork lost to Tipperary and Galway, either side of a win over Westmeath. They are now up against All-Ireland champions Dublin, who will be chasing a fourth consecutive win at DCU, following their opening-round loss to Donegal. Monaghan manager Niall Treanor has made one change, with Abbie McCarey in for Lisa Flynn in defence. Monaghan will need big performances from Cora Courtney, Aoife, Ciara and Eimear McAnespie and Muireann Atkinson against a Dubs side led by nine of last year’s All-Ireland winning side, including Sinéad Aherne, Sinéad Goldrick, Noelle Healy and Lyndsey Davey. Goalkeeper Rachel Fleming, Martha Byrne, Goldrick, Jennifer Dunne, Siobhán McGrath, Hannah O’Neill, Davey, Niamh Hetherton and Aherne replacing Ciara Trant, Niamh Collins, Emma McDonagh, Aoife Kane, Carla Rowe, Éabha Rutledge, Nicole Owens, Kate Sullivan and Oonagh Whyte. Monaghan: Gráinne McKenna; Niamh Kerr, Sarah Boyd, Hannah McSkane; Aoife McAnespie, Rosemary Courtney, Abbie McCarey; Shauna Coyle, Eimear McAnespie; Chloe McBride, Leanne Maguire, Eva Woods; Cora Courtney (Capt. ), Muireann Atkinson, Ciara McAnespie. The minor side continue their defence of the Ulster league Jim McGuigan Cup against Antrim on Saturday at 12 noon in Dunsilly. 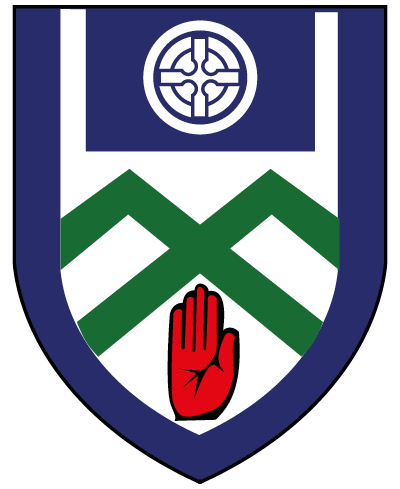 Having lost by a point against Derry in round one, Monaghan will be looking to build on last weekend’s win over Armagh, while Antrim lost their opener against the Orchard County. 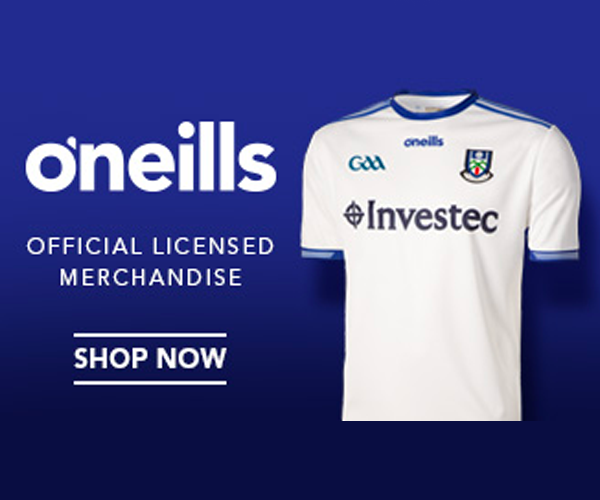 Monaghan can call on the likes of Jason Irwin, Karl Gallagher, Shane Hanratty and Liam McDonald from last year’s Ulster-winning panel as they look to stay in contention in Section A. The round-three U-16 Buncrana Cup game is also against Antrim at the same venue. Monaghan are bidding for a first win after losing to Derry and Armagh, while Antrim’s only game to date saw them beat the latter. On the club scene, there is one Platinum Tanks Reserve Football League Division 1A fixture on Saturday, with Donaghmoyne hosting Truagh.